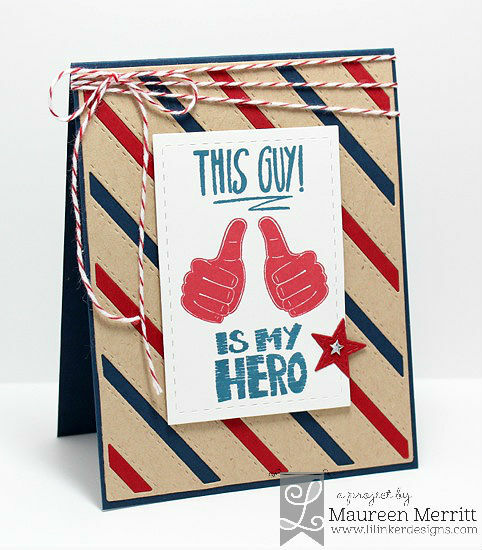 I've been on a one layer card kick lately and when I saw the challenge at Hero Arts, I thought I'd play along. I don't have a ton of Hero Arts products so that made it even more of a challenge :) I got a little artsy and had a lot of fun making this card. I started by die cutting the Palm die which I then used as a mask. I added Mojito, Old Olive and Old Gold inks all around it using a Blending Tool. The sentiment, from Hello Flowers, was stamped in Old Gold ink. Next I flicked a bit of Tattered Angels Glimmer Glaze in Adobe and scattered Gold Metallic sequins. The final detail was a bow tied from Brown Twine. 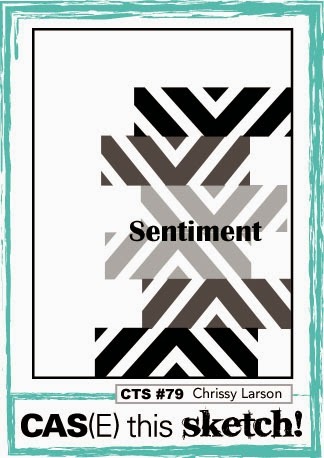 There are so many sources of inspiration...fashion, home decor, fabric, art, food and my favorite, Pinterest. I visit Pinterest daily (multiple times, obsessively really!) 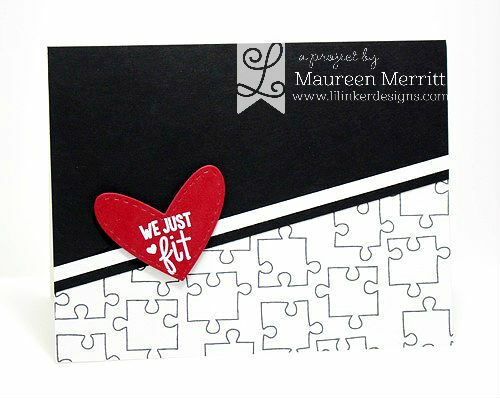 and pin everything from photography, to recipes, to color combos, cards and organization. Now, how often do I actually go back and use what I've found? Well, not often enough. My most used and referred to boards are my recipe boards. I do use them to make my weekly meal schedule. But, what about all of the other wonderful items I pin? Hardly ever. Today I am changing that! I'm starting a weekly blog feature called PIN-spired. 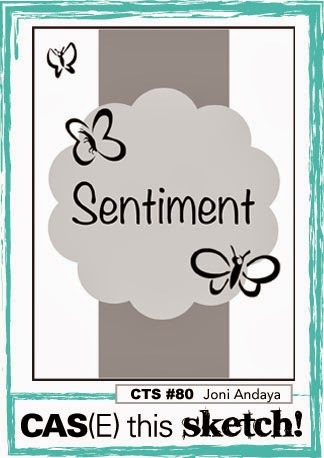 Each Sunday I will be posting a project inspired by one of the pins on my Pinterest boards. I've seen others do this and I think it's a great way to get inspired. Browsing through my boards, I found this for my very first PIN-spiration. I simply love the colors and touch of gold! 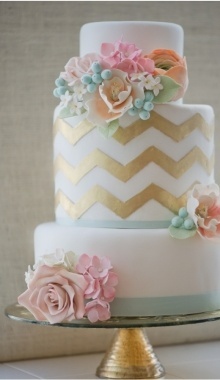 I mimicked the gold chevrons and flowers from the cake right onto my card. 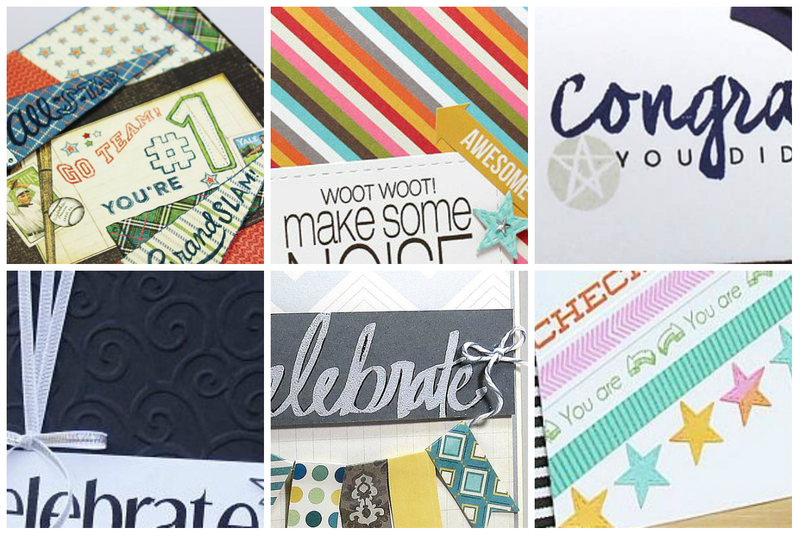 Are you PIN-spired? I'd love to see how this photo inspires you! 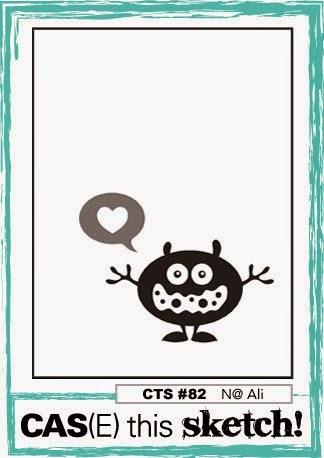 If you make a card using this as inspiration leave me a comment so I can check it out!!! Want to see more of my pins? Follow me here on Pinterest! 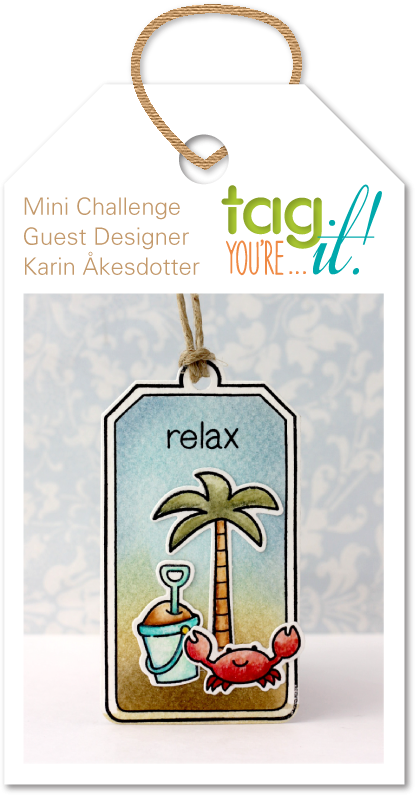 I'm thrilled to announce that I am a part of the new Tag You're It! Challenge Design Team! To kick off this fun new challenge, we are doing a "mini-challenge", mini because it will only last 5 days. The rest of our challenges, beginning on July 4th, will be posted every other week. What's this new challenge all about? 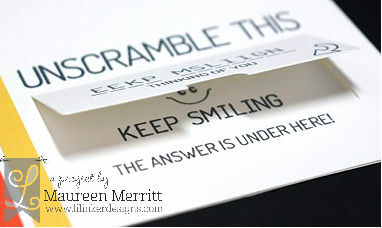 Creating clean and simple tags & stretching your creativity. I was inspired to make a scene like Karin has done here. 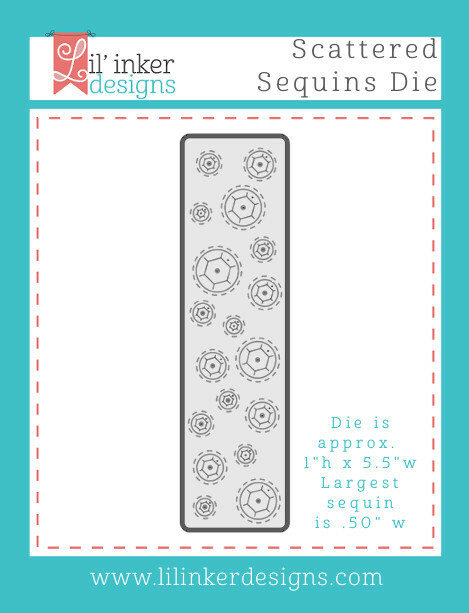 To make my tag, I die cut the Stitched Duo 1 Die by Pretty Pink Posh (FYI- it's back in stock!!! ), then sponged a background using Mowed Lawn and Broken China Distress Inks. 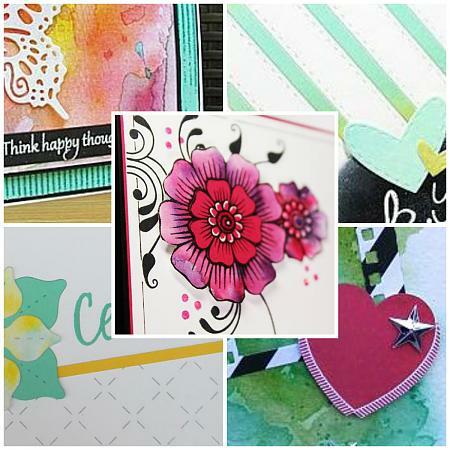 Using True black ink, I stamped images from the "Appreciated" stamp set by Technique Tuesday. 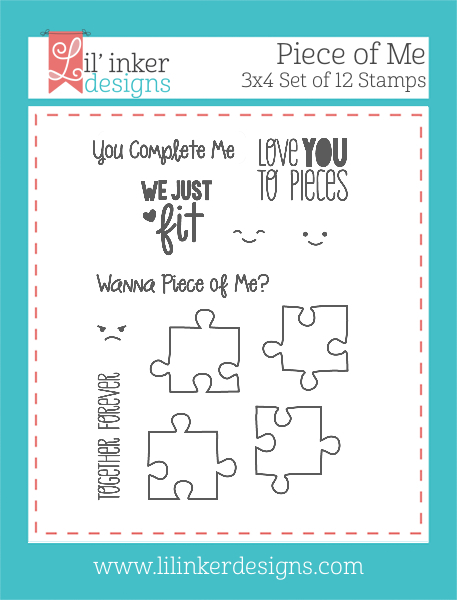 I'm not one to buy a stamp set the minute I see it, but I did with this one! I just love it. 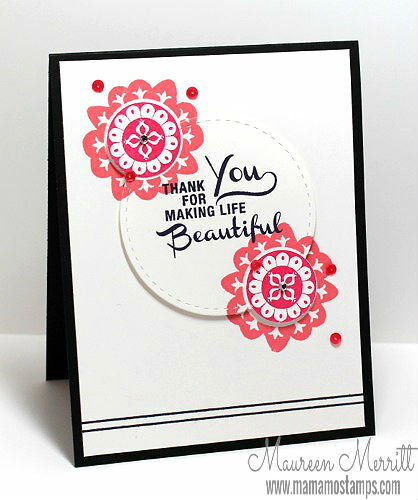 My sentiment is from the Modern Mehndi set by Lil' Inkers and was die cut using the Stitched Circle Mats. Want to see who else is on the new Tag You're It! Challenge Design Team? Want to see how they were inspired? Click here to join in the fun!!!!! This card will be perfect for Doug for our 14th wedding anniversary next week! This week is a sketch challenge. Did you all see that Paulina is doing a Guest Designer call for Pretty Pink Posh? I can't wait to see who will be joining the Pretty Pink Posh team! 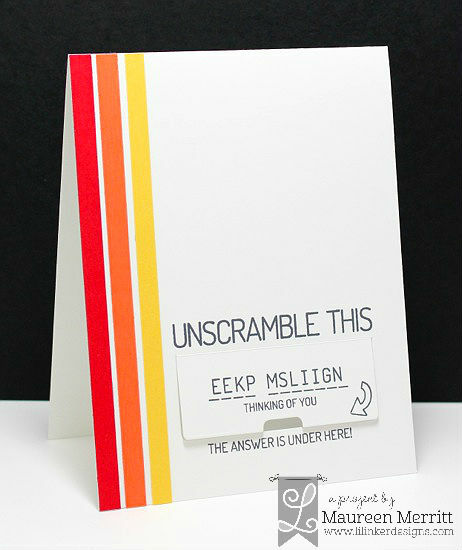 Once I made my challenge card, I couldn't put my stamps away and made another card. Members can click here to view the challenge. 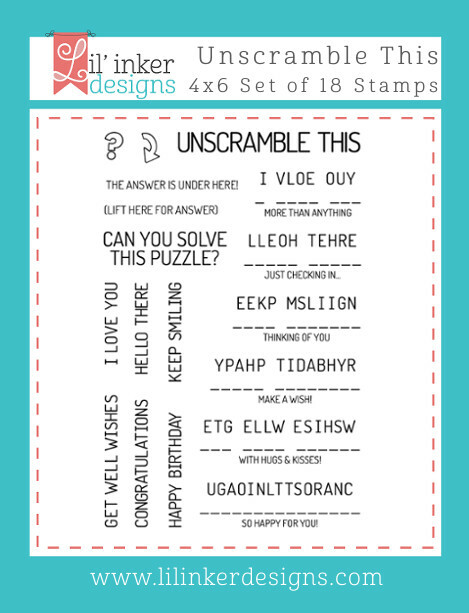 One randomly chosen challenge participant will win two Altenew stamp sets of their choice! 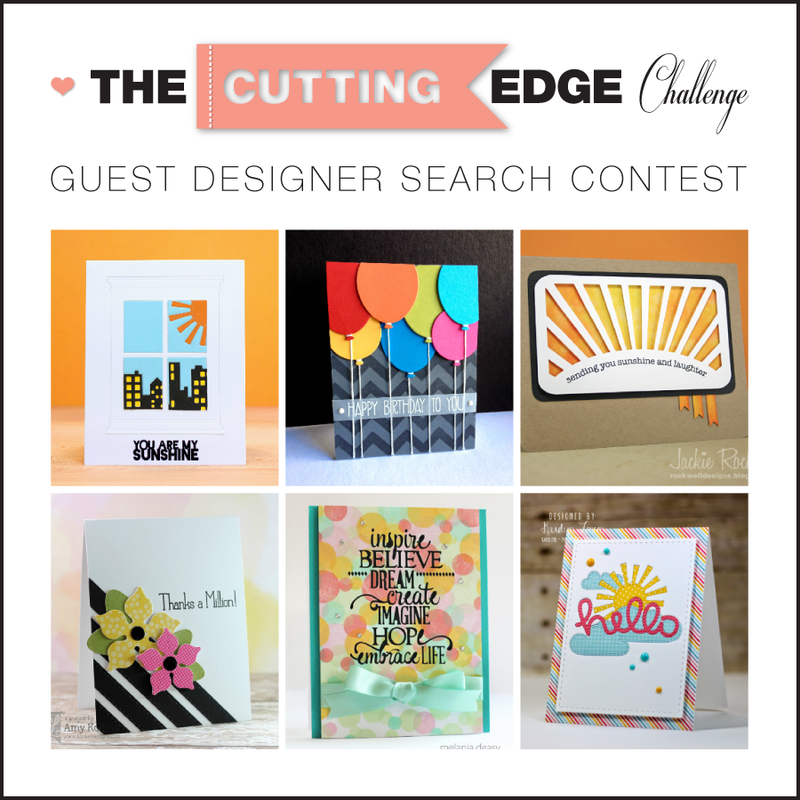 There's a new challenge blog in town, The Cutting Edge Challenge! I had fun playing along in their very first challenge. I was inspired by the card in the lower right. 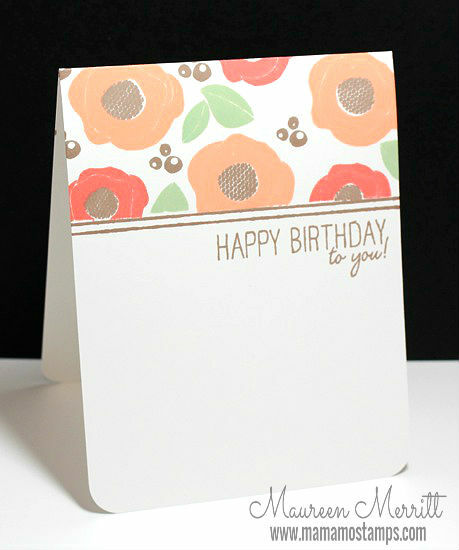 I love lining a card front with a busy pattern, then placing a white panel on top of that and keeping the rest clean. 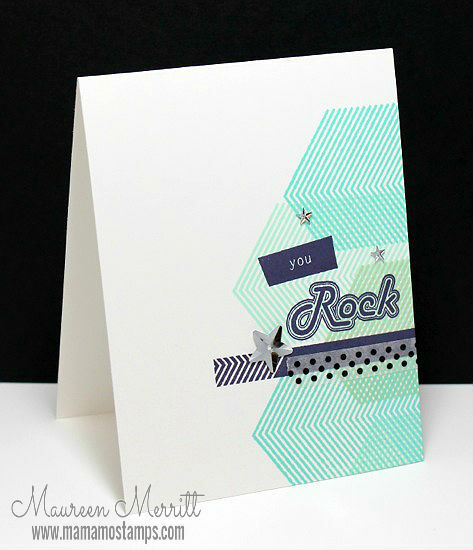 It's a great way for a CAS stamper to use patterned papers. Can you believe that I didn't use even one stamp on my card? Shocking, right! 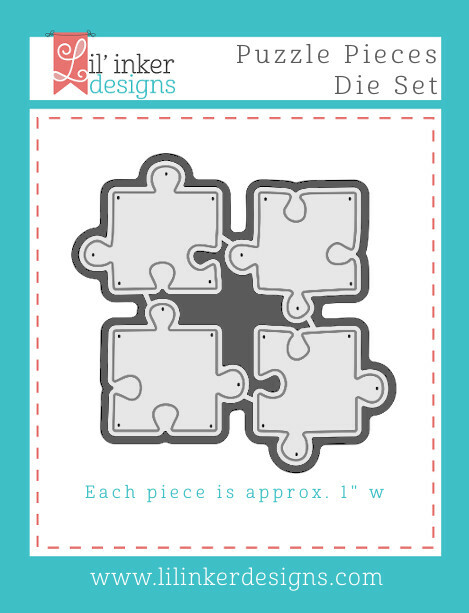 All of the dies I used here are by Lil' Inker Designs, I used the new Thanks Word Die (LOVE), the Spring Flowers Die set and Stitched Mats - Rectangles. I just posted my 2nd video tutorial for the CAS Classroom at StampNation. 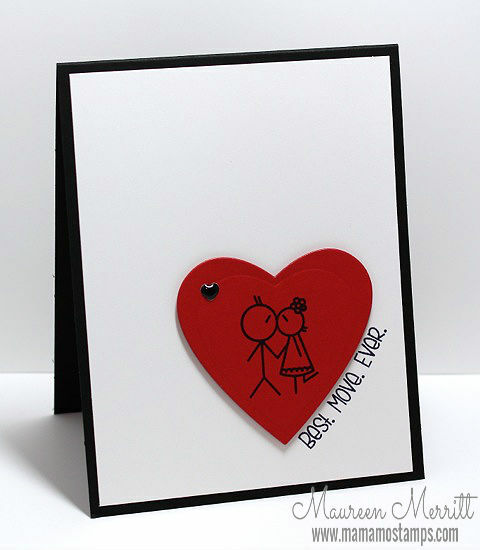 In this lesson I used spray mists and a stencil to make a one layer card. Members can view the video here. Click here for membership benefits and to join now! Want to know more about the CAS Classroom? Click here to view my video introduction. Thanks for stopping by! Have a happy Friday and a fabulous weekend! **This is my second post today. Please scroll down for this week's CAS(E) this Sketch! Challenge. Have you noticed that StampNation is popping up everywhere these days? It's been such a pleasure to have a front row seat as the community has grown and evolved over the past 3 years. My little corner of StampNation is growing too! I've written over 30 lessons for my CAS Classroom. Last month I announced a change to my classroom, monthly VIDEO tutorials!! If you ever wondered WHAT the CAS Classroom is all about, watch my introduction piece above where I explain to members my plan for the CAS Classroom. Want to see the rest of my video? My next video goes up tomorrow! 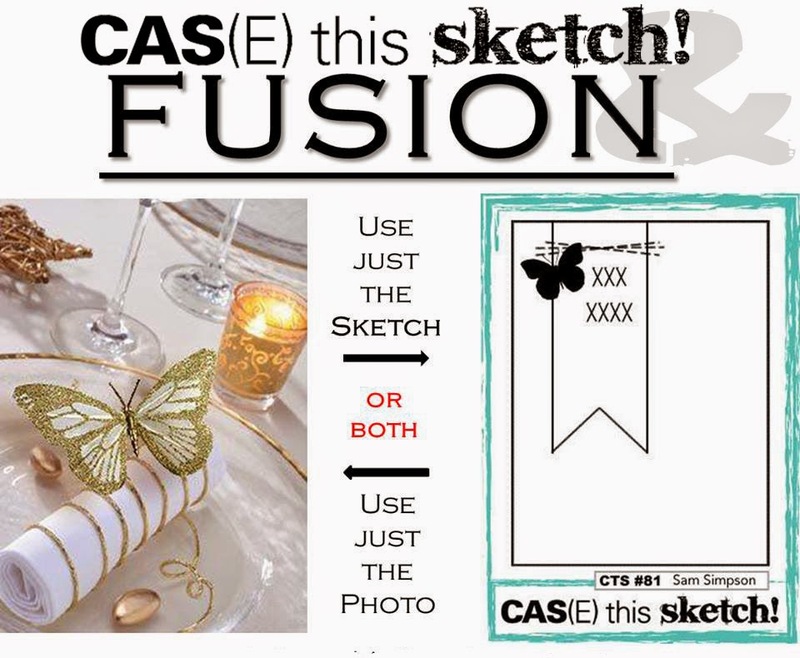 I just love working with sketches, like this one for this week's CAS(E) this Sketch challenge. You can take the sketch literally or use a bit of creative freedom and transform butterflies into medallions like I have done here. Sketches are my absolutely go-to when I'm in a creative slump, what's yours? Hellooooo, long time no see! Please excuse me while I wipe the cobwebs away from my computer screen :) It seems that after the Lil Inker and WPlus9 releases, then the Pretty Pink Posh Blog Hop all in 5 days, I needed a little blogging break. I'm back though, for at least a couple of consecutive days!! 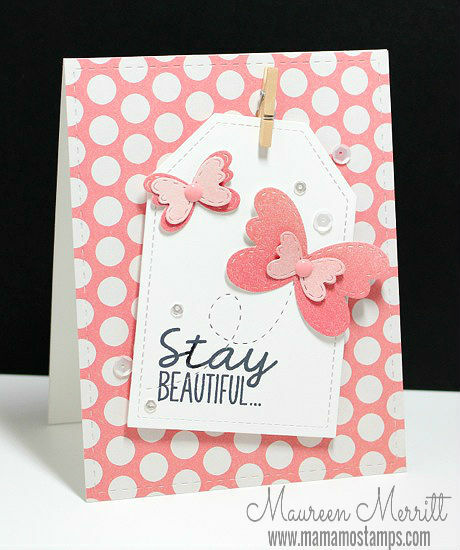 The newest StampNation challenge went up this morning, a technique this week, colorwashing. Can you guess which card in the graphic above is mine? **This is my 3rd post today! Please scroll down for my WPlus9 Release Post and for the Pretty Pink Posh Blog Hop. 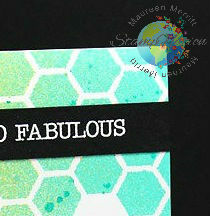 I think I found myself a new favorite color combo...Mint Julep Shadow Ink by Hero Arts, Mojito by WPlus9 (available today!) and Hawaiian Shore by Papertrey. I love it! I stuck pretty close to the sketch this week, this was a fun one to work with! SO many possibilities! *This is my 2nd post today. Please scroll down for my WPlus9 Release project. 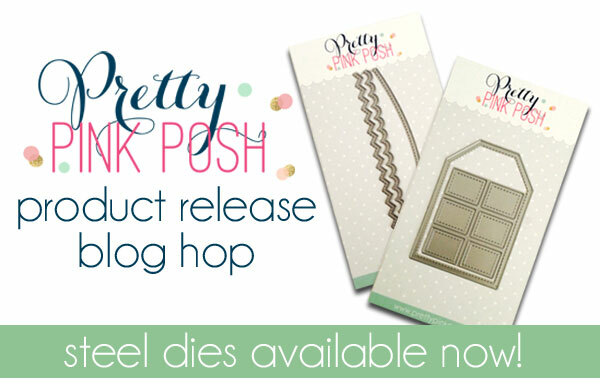 Did you see the new products available in the Pretty Pink Posh store? 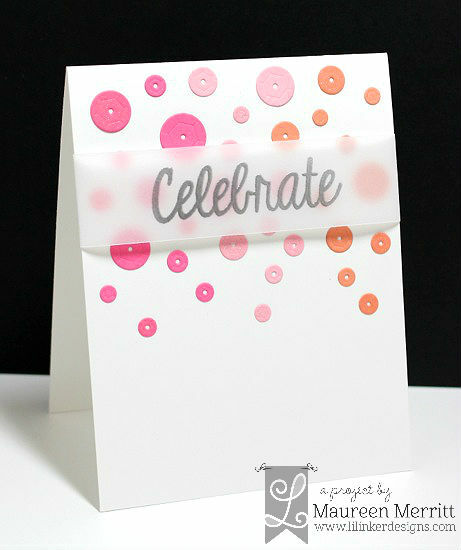 The Pretty Pink Posh DT and friends are doing a blog hop in celebration of the new dies! 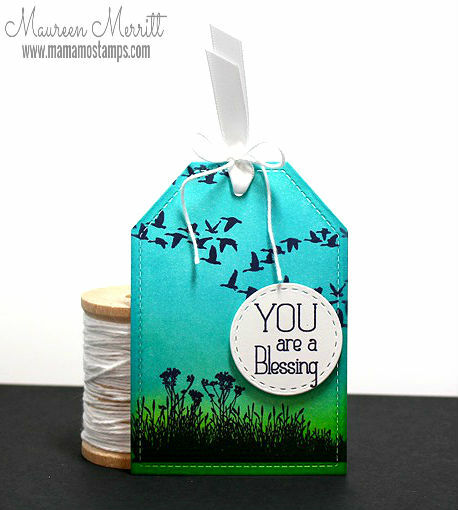 I used the Stitched Duo 1 Dies! 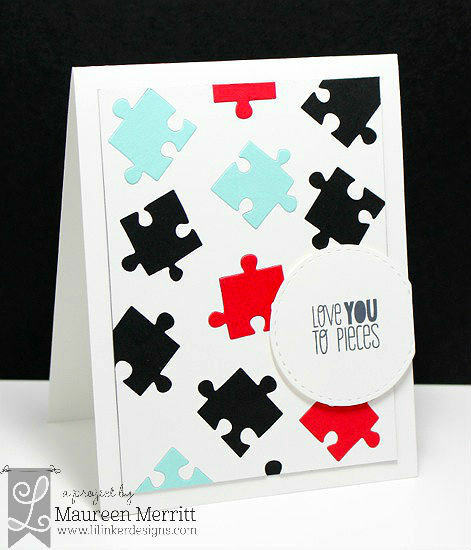 I love this large tag die and that you have the option of using the window die cut with it or not. I decided to focus on just the tag and used it to built a beautiful focal point! My tag is hung by a Mini Wooden Clothespin and a scattering of Marshmallow and Clear Sparkling Sequin. There are TWO $25 gift certificates hidden along the way, so make you leave comments at each of the stops! Have fun & thanks for stopping by! at the WPlus9 Design Studio store. I have one more card to share with you today. I've been on a OLC kick lately! 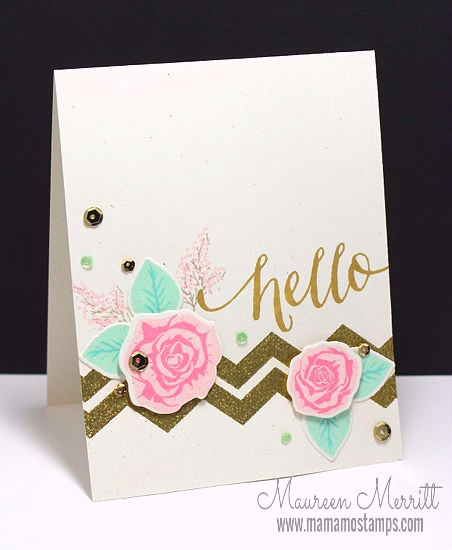 Here I used the Spring Blooms stamp set and the masking technique to show off the new South Beach Collection...Flamingo, Miami Spice, Mojito and Coconut Husk. I love the simplicity of this design. I plan to make a few more of these, switching out the sentiments. It's the perfect card for mass producing and it's nice and flat for mailing! Wait, don't go yet! There's more. I can't wait to see the South Beach Collection popping up all over blogland. 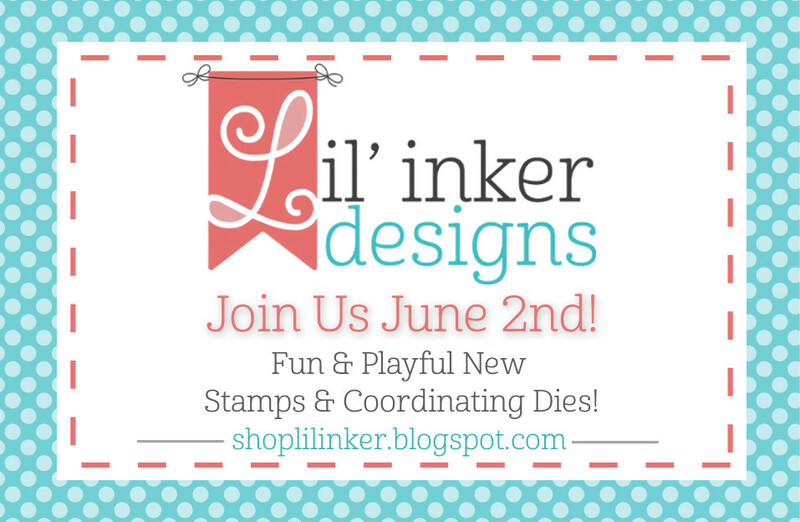 It's the last day of our three days of blog hops for the Lil' Inkers June release! Have you seen all of the amazing new products?! They are available in the store now, so make sure you check them out here! I have three cards to share with you today. 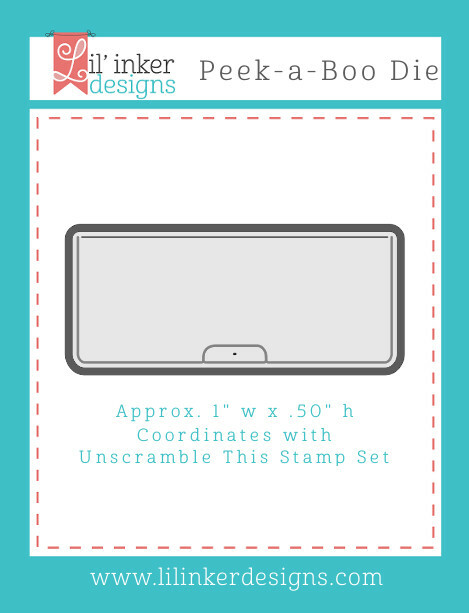 First up, the Unscramble This stamp set and the Peek-a-Boo die! 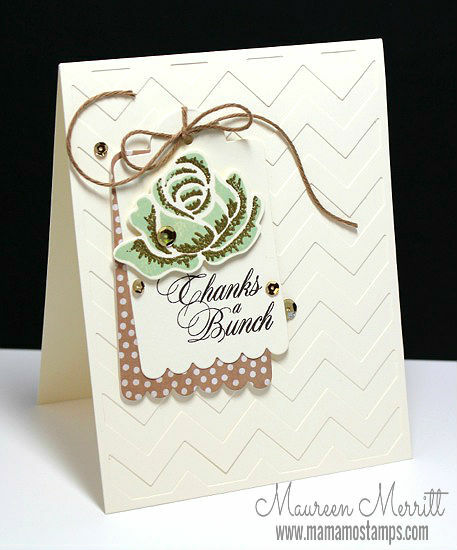 I kept my card ultra CAS so I could really show off these awesome, inventive, one-of-a-kind products! Talk about a fun idea. 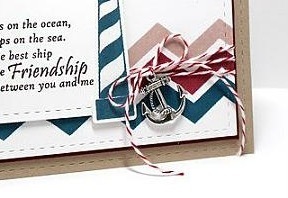 Plus, you can finish your card inside & out. Really, these products offer so many possibilities. 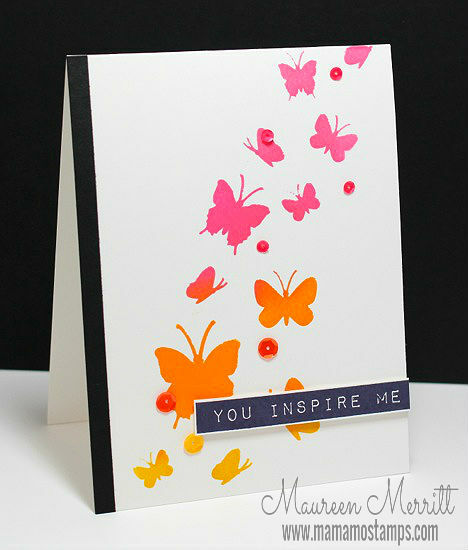 My next two cards feature the Scattered Sequins Die. I have one more card for you today. 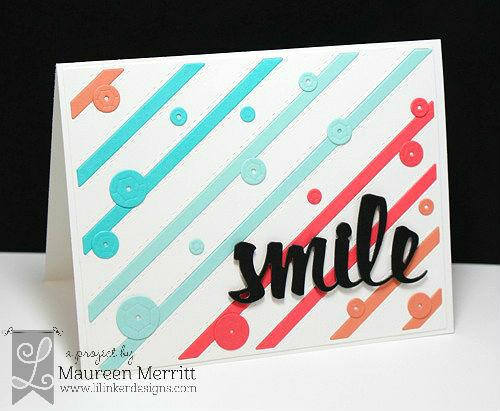 This uses the Scattered Sequins Die along with the Smile Word Die. The fun begins today with the first of three days of blog hops for the Lil' Inkers June release. All of the new, amazing products are available NOW in the Lil' Inker Store. You must check it out! Before we get on with the blog hop, today we say goodbye to Suzanne Dahlburg :( Suzanne will certainly be missed. Good luck to you my friend!!! With every goodbye there is also a hello, or three, please welcome Lea Lawson, Lisa Henke and Mary Dawn Quirindongo to the Lil' Inker DT! These crafty ladies are going to knock your socks off, I promise! 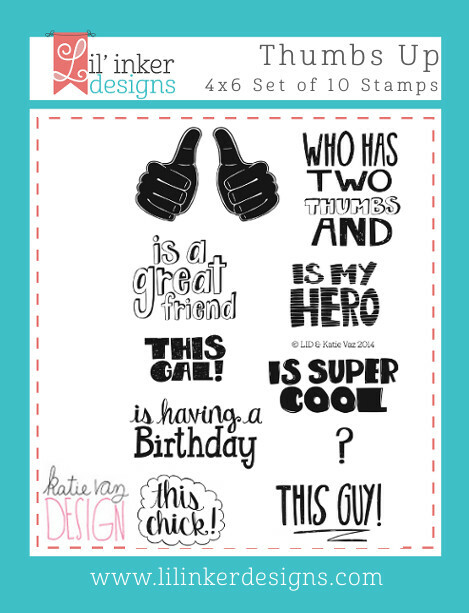 My card today features the Two Thumbs Up stamp set! It's release time at WPlus9 Design Studio! 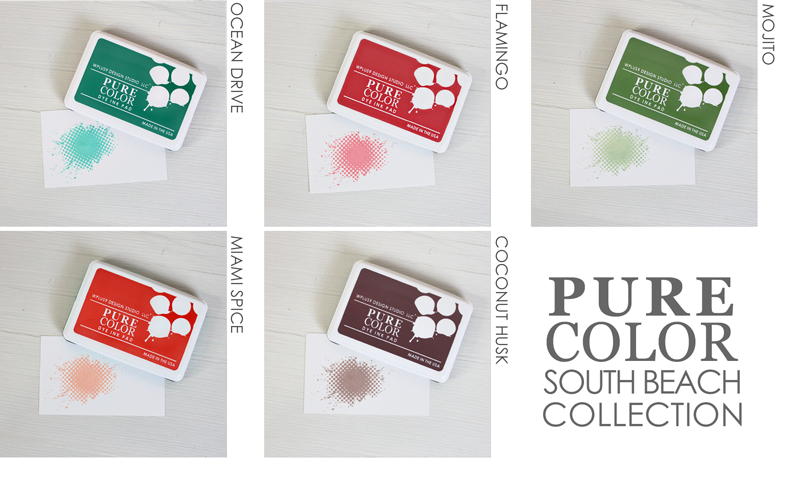 This is a mini-release consisting of a new collection of inks. Stunning, right?!!!! Over the next five days the design team will be sharing projects using the South Beach Collection on their blogs and the WPlus9 blog, so make sure you check them out daily. The inks will be available at 12:00 AM on June 5th. 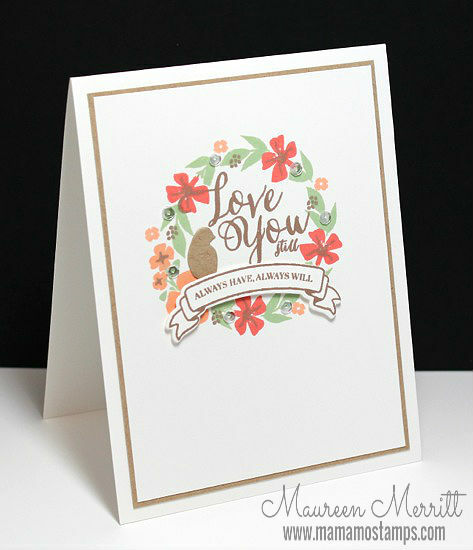 Today I have a card that features the Flamingo, Mojito, Miami Spice and Coconut Husk inks. The South Beach Collection works so nicely together and with the Original 10 Collection. 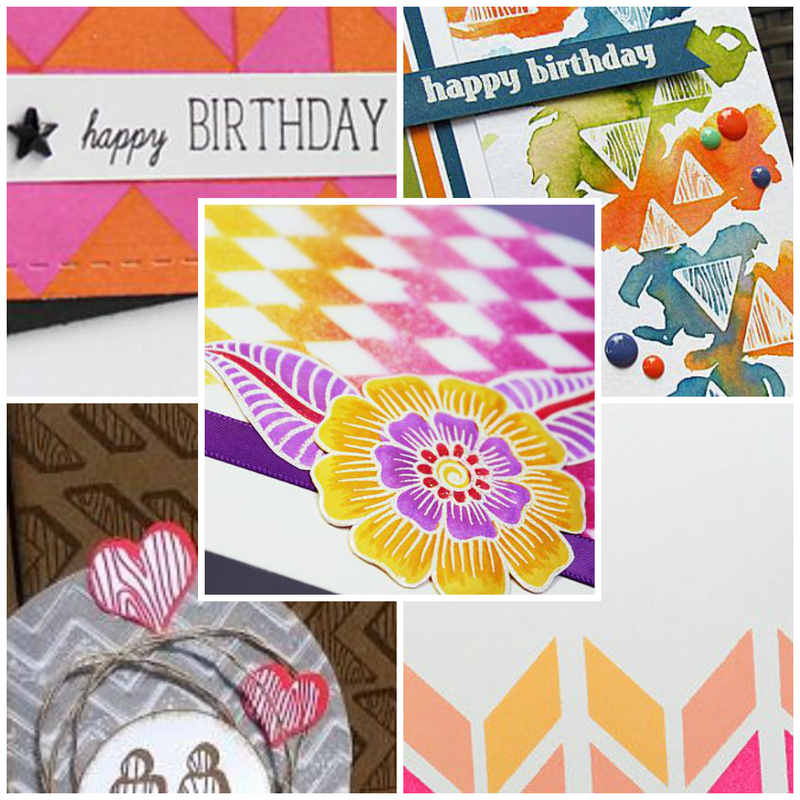 Corals and oranges are so hot, not only in paper crafting but in fashion and home decor. I'm thrilled to have Flamingo and Miami Spice as a part of the WPlus9 line up! Mojito is a nice mix of mint and grass green, it falls somewhere in between. It's a color unlike anything in my collection. Coconut Husk is the perfect neutral shade. These are most definitely colors I will be turning to time and time again. Thanks for stopping by! 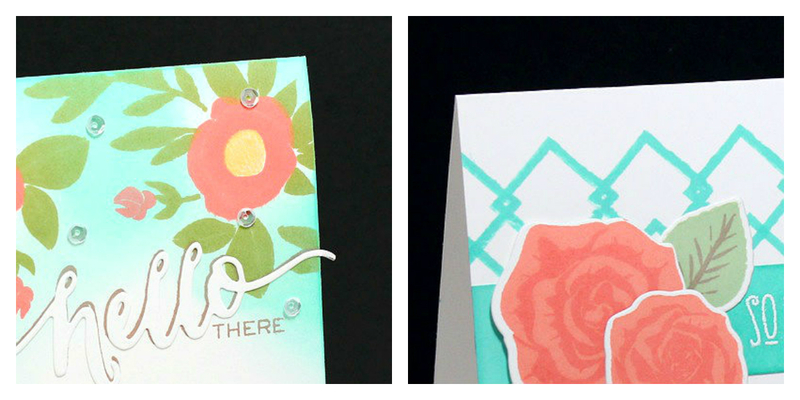 I will be back on Wednesday with a peek here of two more cards using the South Beach Collection and a full post on the WPlus9 Blog. See you then!